Wellcome Collection is a free museum and library located in London, aiming to challenge how we think and feel about mental health. They are part of the Wellcome Trust group – a global health charity established under Sir Henry Wellcome’s will in 1936. Wellcome Collection have had a small scale footfall tracking system in place, provided by Axiomatic, for a number of years. In 2013 Wellcome Collection put together a brief for a wider scale system, to cover a much larger section of their estate. They wanted to track in/out footfall and occupancy across a variety of areas of their site. Areas they wanted to monitor included the main entrance, various exhibitions (both temporary and permanent), their shop, and real time occupancy figures for each floor of the museum. Key specifics of the brief stated that a count accuracy of 95% must be achieved, the counters must be discreet and unobtrusive, be able to utilise PoE (Power over Ethernet), and the counters must be able to store data in network connectivity is lost for a period of time. As part of the expansion process Axiomatic paid Wellcome Collection a site visit, to expand more on how we intended to meet their brief with regards to infrastructure and the location of each people counting device. It was decided that the best option to suit the various needs of the different environments at Wellcome Collection, was the Brickstream 3D video counter. The 3D offers the benefits of flexible application, and excellent accuracy. Furthermore, the 3D is PoE compliant and able to store data in the event of a loss of network connection. 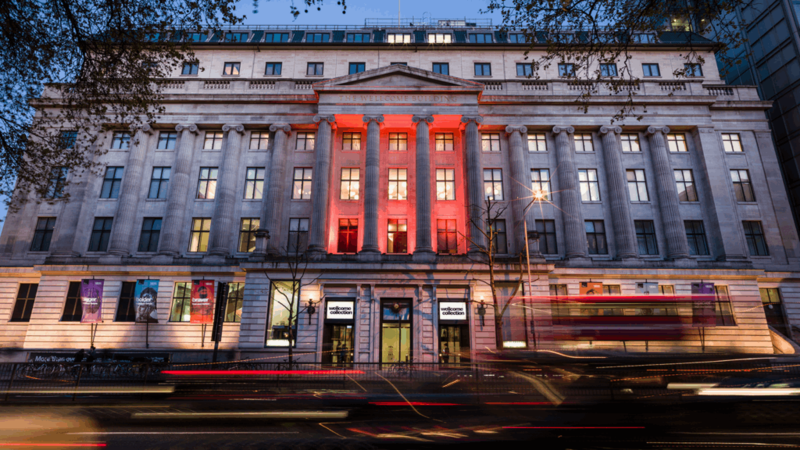 Wellcome Collection are able to view their data through Axiomatic’s reporting dashboard. They can view their live and historic occupancy figures for different zones within their site. They can also view their daily, weekly and monthly figures at a glance. Wellcome Collection take advantage of the support offerings we have at Axiomatic. This includes regular monitoring of the system to check for inaccuracies, regular software updates, system training and tutorials, as well as an average of 3 site visits per year. These site visits are for the purpose of accuracy checking – or in other words, to help support the system achieve 95% count accuracy. In addition, other elements are discussed – such as any counter repositions or new exhibitions opening (to ensure no disruptions to the count data), and to discuss any manual validation of counting data. Gemma Hopkins – Visitor Services Duty Manager at Wellcome Collection. Since the system was installed, Axiomatic has upgraded the counting devices to the latest hardware, to maximise reliability and accuracy. We look forward to continuing our strong relationship.